Quite a few things have happened at CommunicAsia 2009 that is taking place in Singapore. Samsung have announced 4 brand new cell phones, LG also showcased new devices and it now seems Haier are following suit with an interesting product. 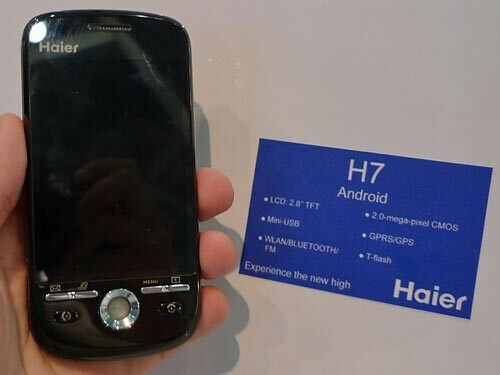 Meet the Haier H7 - the first Android-based cell phone of the manufacturer. 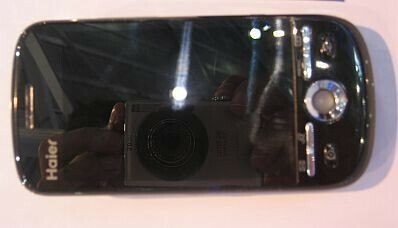 Information is still scarce, but pictures show the device looks quite like the HTC Magic. The phone sports 2.8-inch touch sensitive screen, 2-megapixel camera with flash, Wi-Fi, GPS and FM radio, but lacks 3G support. Speaker for the company has announced the Haier H7 is expected to ship on European markets in September for about $150 and is to be released in France first. There is still no information as to whether or not it becomes available in the US later on.